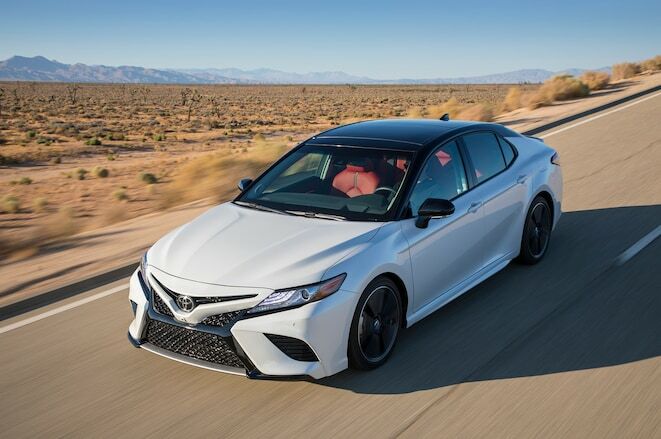 With the Camry XSE V-6 handling so much like the XLE four-cylinder, you might expect it to ride and drive the same, too, and you’d be right. 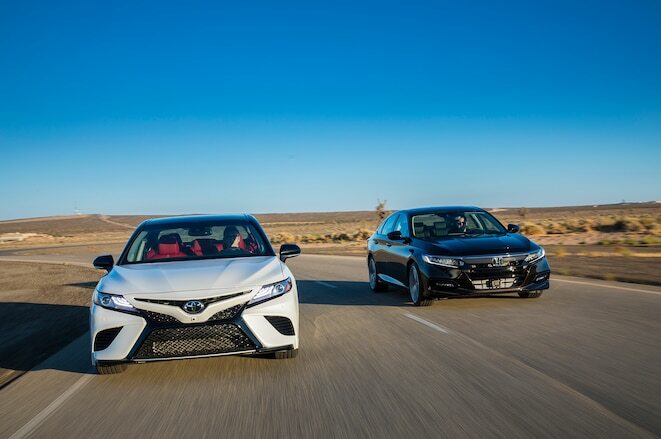 The Camry rides somewhat firm for a family sedan, but the Accord 2.0T with fixed dampers rides about the same—but it does have better body control to eliminate the head toss of the Camry. 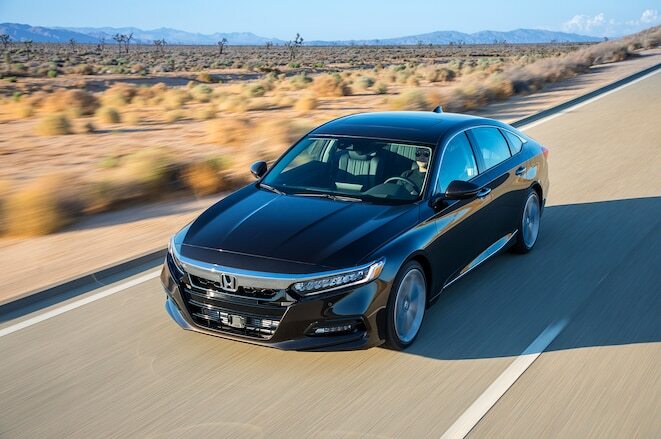 Step up to the Touring’s adaptive dampers, and the Accord rides better, too. 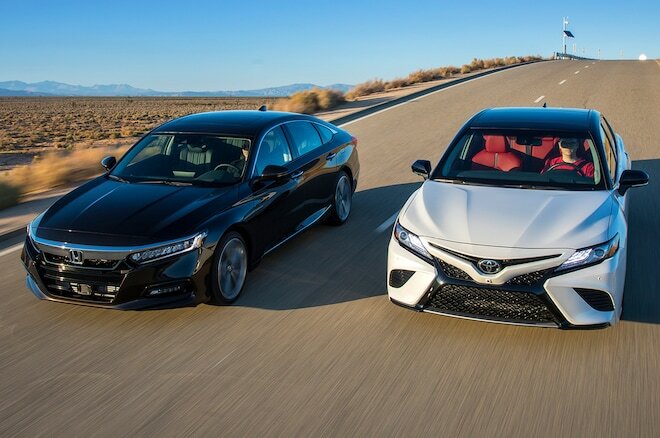 In tests zooming around a closed-course oval, the Accord felt more composed at 125 mph than the Camry did at 90. This entry was posted in Accord Articles on January 30, 2018 by Administrator.